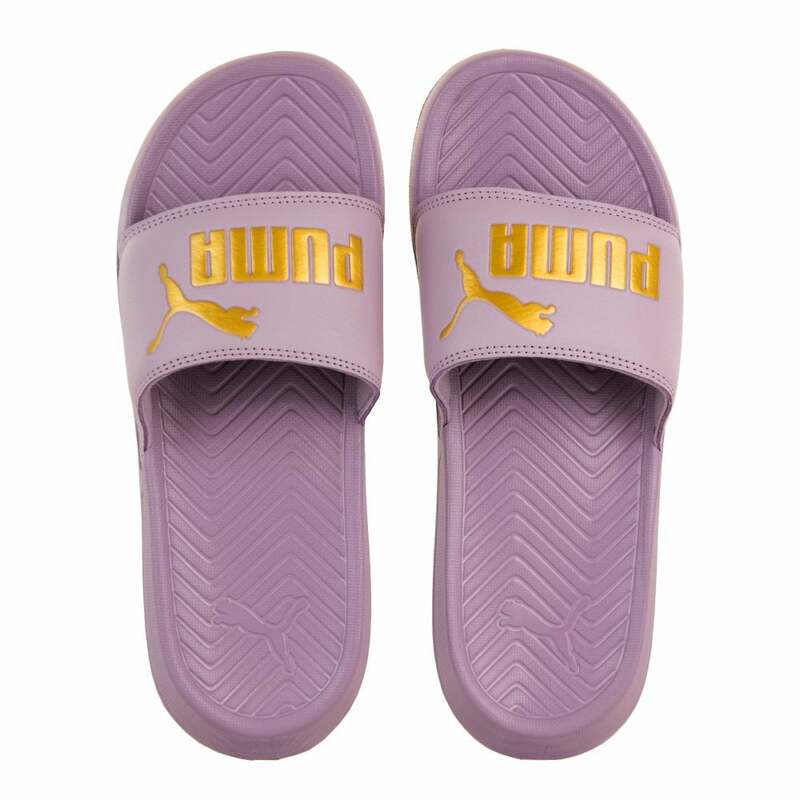 These slip-on Puma Popcats Slides have a synthetic upper and are Elderberry in colour. They have a textile lining with a synthetic textured insole. Puma branding appears on the upper in a metallic gold colour and the sole is synthetic with a textured tread for added grip.